A sign in Melacca dating from the emergency period in the 50s marking the edge of a ‘white’ or communist free area. 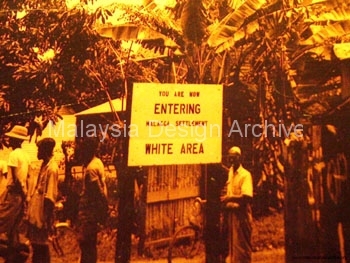 Title: You are now entering Melacca settlement. White Area.